It is common practice for baristas to be taught to use their sense of touch and sound to determine when a pitcher of milk has reached the correct heat. While these are important skills to have, this opens the door to inconsistency. When serving coffee (especially in a commercial setting) it is imperative that you serve a consistent product, that way customers can come to rely on you to serve them the same brew each time. 60℃ (140℉) - 70℃ (160℉) This is the optimal drinking range, do not stretch or texture in this range - simply bring to the desired temperature. 70℃ (160℉) - 80℃ (180℉) This temperature range should be reserved for 'extra-hot' drinkers. At no stage should you exceed 80℃ as this is close to milk's boiling point. When preparing milk for consumption, the use of a thermometer allows for much greater precision and consistency than your sense of touch can allow. 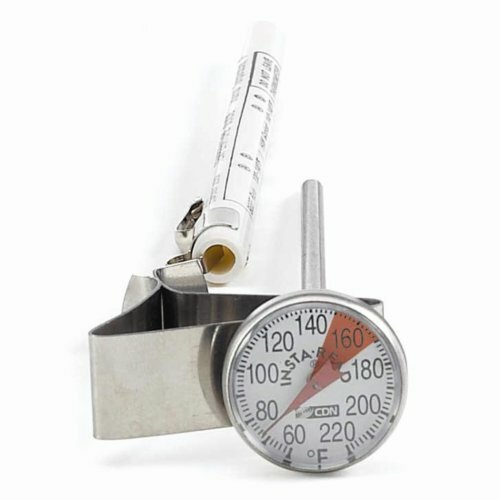 It is for this reason we believe that a milk thermometer is an essential in every coffee enthusiast & barista's toolkit. The timer or 'shot clock' performs an essential role when preparing espresso. As coffee fans we take every precaution to control as many variables as possible, from the freshest beans, cleanest equipment, perfect grind and exact tamp - but this can all be for nothing if we don't know how quickly the extraction is taking place. The purpose of a timer when preparing espresso is to time the overall extraction time. The quality of an extraction can be determined (as a guide) by assessing four general qualities - Crema, Pour, Timing, Biscuit/Puck. You can read more about these at our post on the Four Essentials to Brew a Perfect Espresso . Timing is one of these qualities, for a double espresso, 60mls of espresso should be produced in approximately 23-27 seconds. With a double ristretto, 30mls being produced in around the same pour time of 23-27 seconds. 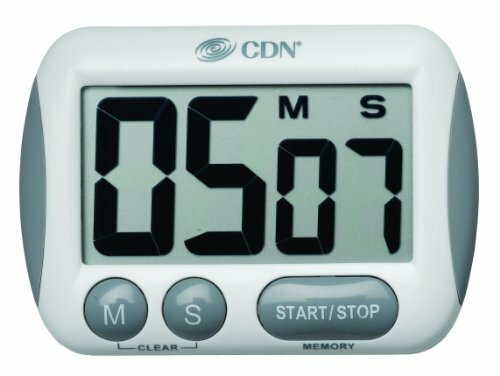 A timer is used for the same reason as a thermometer, it's all about consistency. This is especially important in a home setting where it may be many hours between brews, as well as in a commercial setting where careful attention to the brew may not be achievable. Understanding how slowly or quickly your espresso is being prepared will assist greatly in dialling in your grind, and ensuring that as the day goes on the settings are still adequate. Just like the Thermometer this creates an overall consistency, so you know that when you either sit down to enjoy your drink, or hand it off to your customer that it is the best it can be! We are keen to know your thoughts on these two tools, did you notice improved consistency after introducing these to your workflow? Perhaps you have found it easier to dial in your grind? Let us know your thoughts by leaving a comment below.